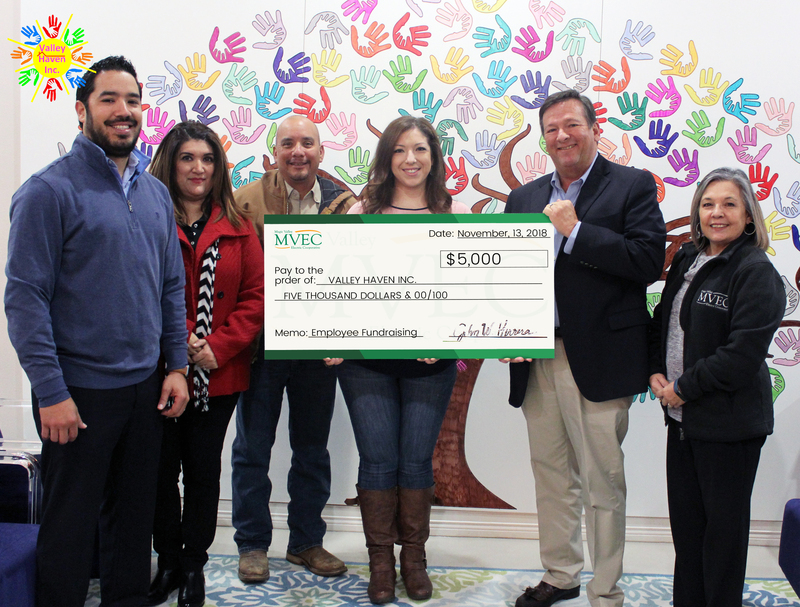 A generous $5,000 donation from the Magic Valley Employee Community Fund will help meet the day-to-day needs of the children at Valley Haven Inc. in Harlingen TX. Valley Haven Inc. is an emergency children’s shelter that has offered a safe place to stay to approximately 225 children, since they first open their doors in February 28, 2018. The shelter serves children from birth to age 17. Most children who come to the shelter have been victims of child abuse, neglect or abandonment and removed from their homes by CPS. Each child that arrives at the shelter is given their own personal living space, daily meals and snacks, toiletries and clean clothing to call their own, easing the transition after the traumatic experiences they have endured. “At MVEC, helping children is very close to our hearts, so it’s an honor to work with an organization whose purpose is to provide children with the support they need during their darkest hours,” said John W. Herrera, MVEC’s General Manager. “We’re thrilled and proud to give this donation to a deserving organization in the Valley. The Magic Valley Employee Community Fund was created by a group of MVEC employees who wanted to do more for our community. Since 2011, MVEC employees has raised over $122,000 to help local non-profit organizations in the Valley. For more information on how you or your company can support Valley Haven Inc. Emergency Shelter, please call (956) 893-0422 or info@valleyhaveninc.org.